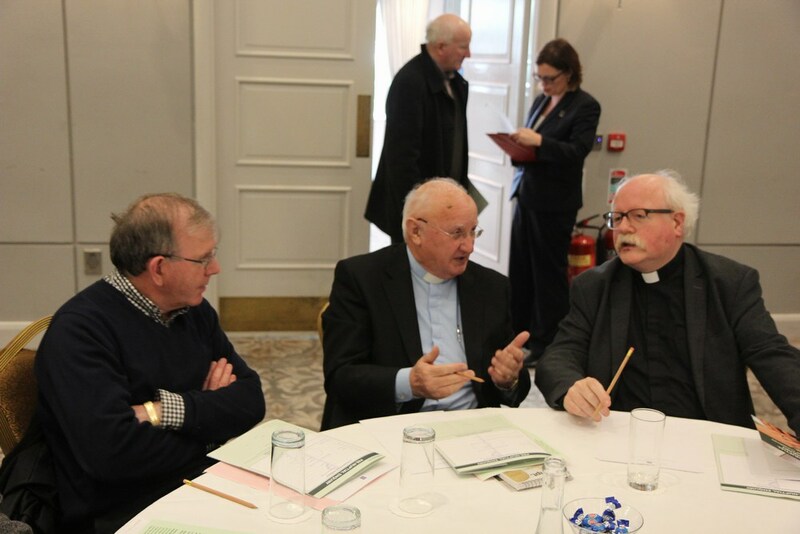 Yesterday (27.10.2016), clergy from each of the dioceses of Munster met in Charleville to discuss the new National Pre-Nuptial Enquiry Forms that the Irish Episcopal Conference has issued. Each person preparing for a Catholic marriage completes a Pre-Nuptial Enquiry Form with his/her local priest. The form records various details concerning that person’s capacity and preparedness to marry. 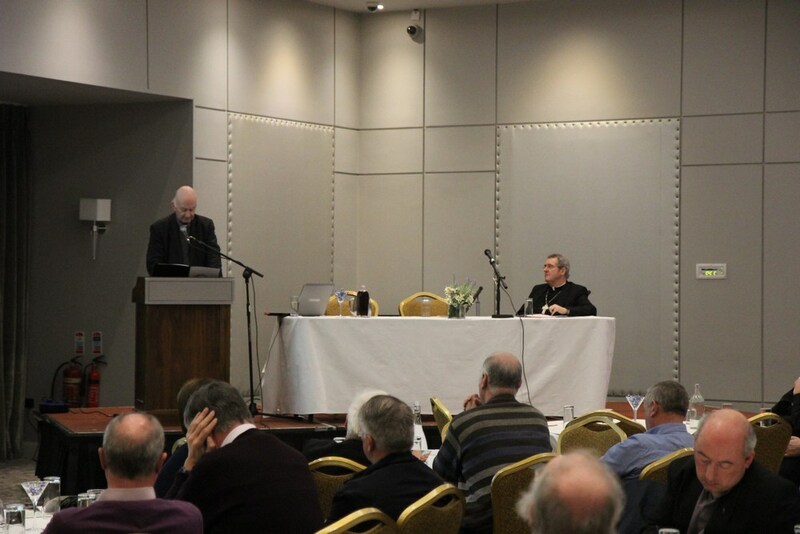 The training day for clergy in Charleville was chaired by Bishop William Crean who led the assembled clergy in prayer. 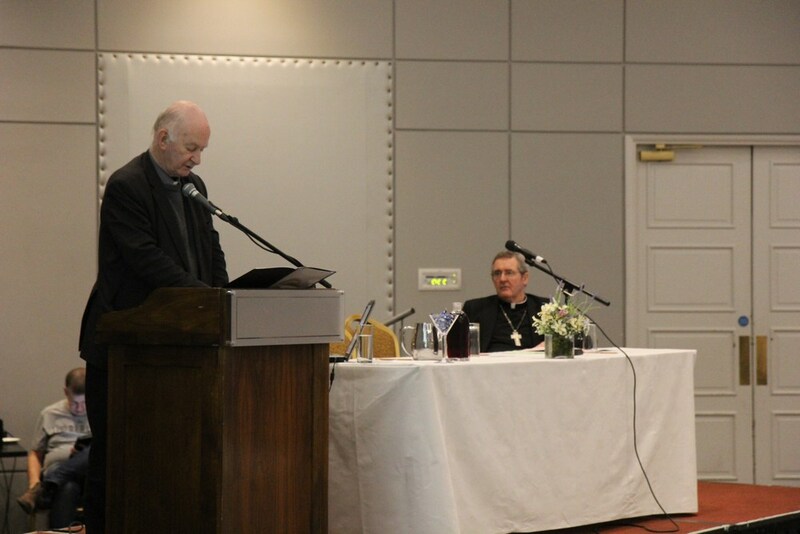 The keynote speaker was Bishop Donal Murray, Bishop Emeritus of Limerick, who spoke on a Vision of Marriage and Family, in light of Pope Francis’ 2016 apostolic exhortation Amoris Laetitia. 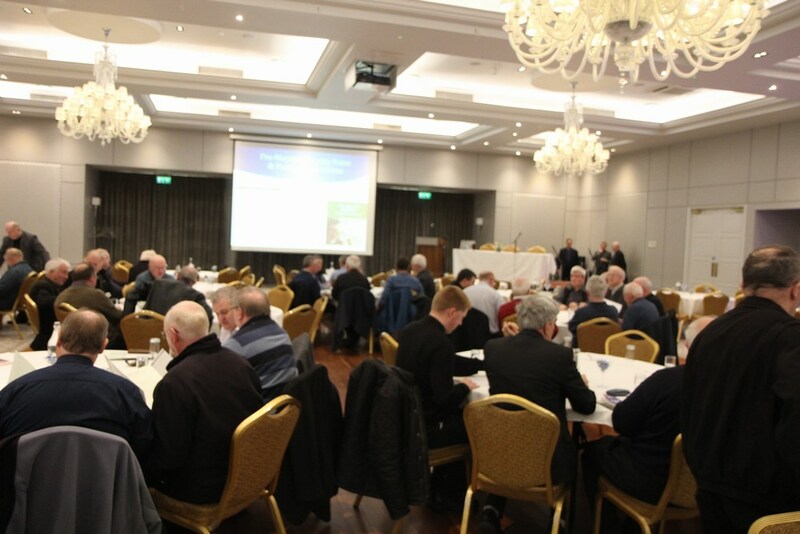 This was followed by a presentation of the new Pre-Nuptial Enquiry Form and the accompanying Pastoral Guidelines booklet explaining the innovations and changes contained within them. Below are some photos from the training day. 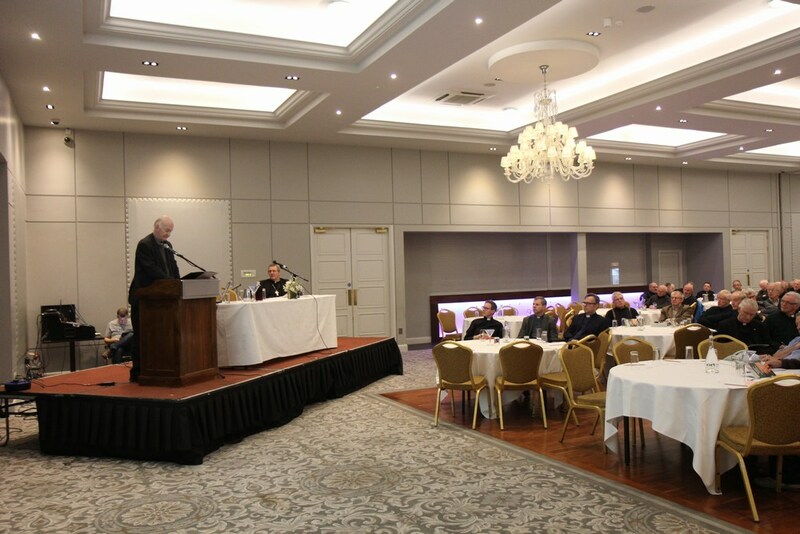 Donal Murray speaks on Pope Francis’ 2016 Apostolic Exhortation on Love in the Family Amoris Laetitia. 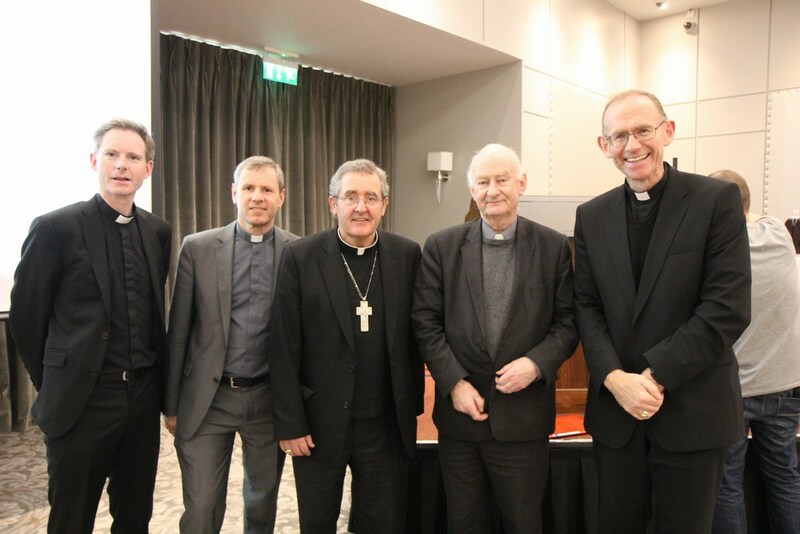 Bishop William Crean chaired the training day. 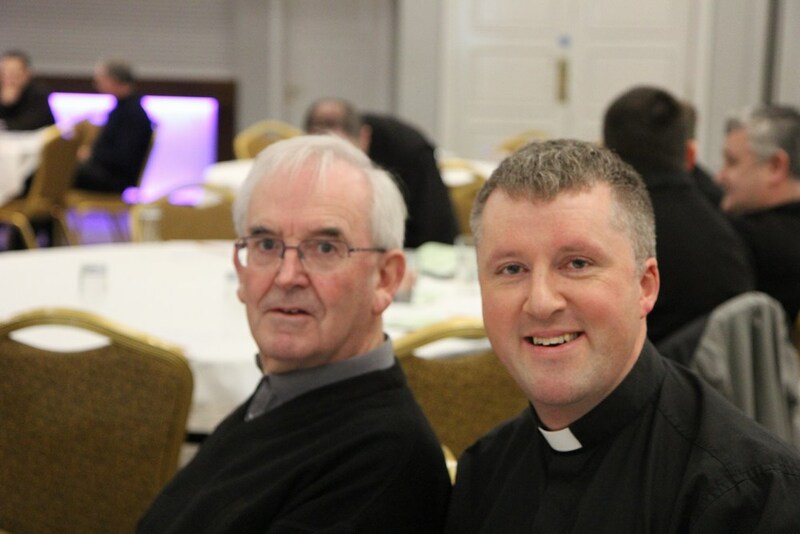 The new Pre-Nuptial Enquiry Form will come into effect throughout the dioceses of Ireland on the First Sunday of Advent, 27th November 2016. The new Pre-Nuptial Enquiry Forms and accompanying Pastoral Guidelines are an important dimension in the preparation of couples for the Sacrament of Marriage.